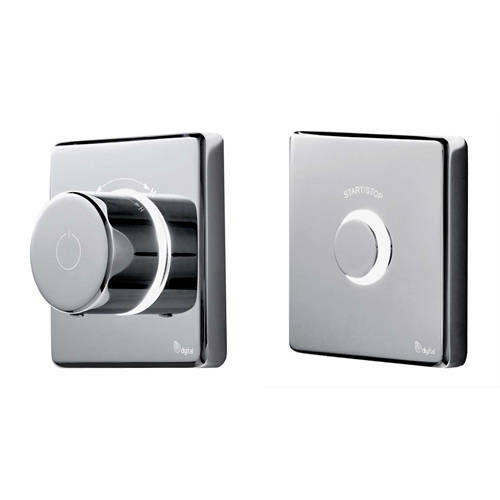 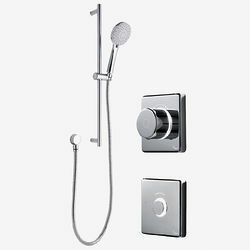 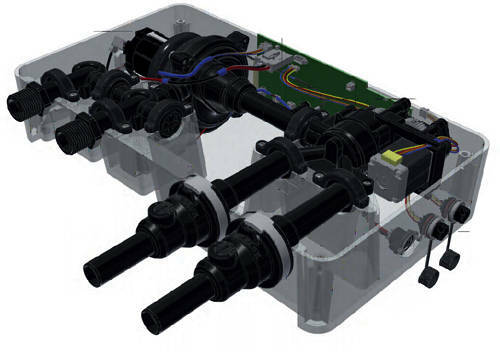 Digital Showers > Digital Shower Valve, Remote & Slide Rail Kit (LP). Contemporary 2025 single outlet digital shower valve with LED colour changing lights, round handle, processor unit, remote control and contemporary slide rail kit (low pressure systems, pumped). 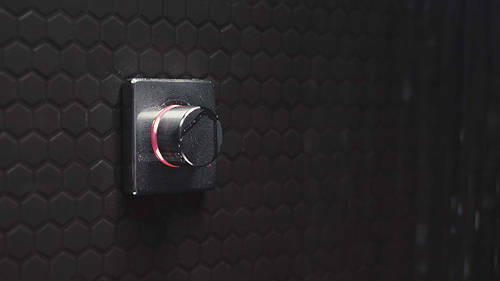 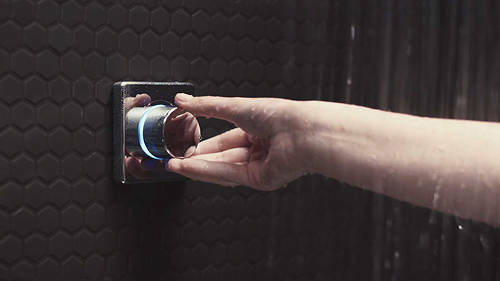 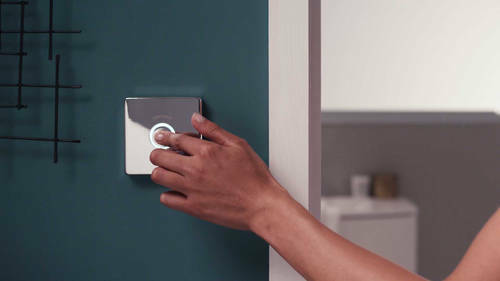 Remote control: press the button to turn the shower ON/OFF.